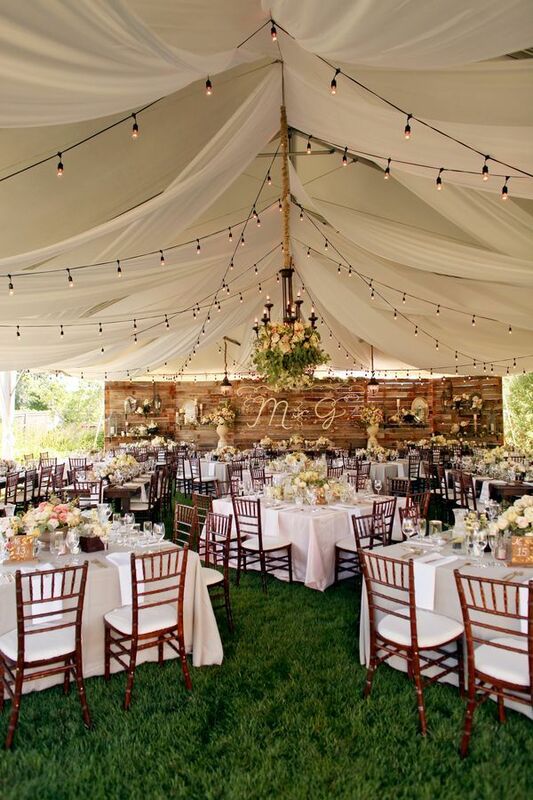 Creating your seating chart is one of the most daunting aspects of wedding planning. Thankfully, our friends at Commins & Co. made this handy infographic that makes planing seats a breeze. Get our your notebook and pen, and start taking notes! Christmas is just a few days away! 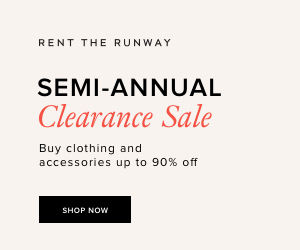 New years plans are in the making and that means LOTS OF SEQUINS! If you as me, the best part of New Years Eve is all the glitz and glam, sequins everywhere. 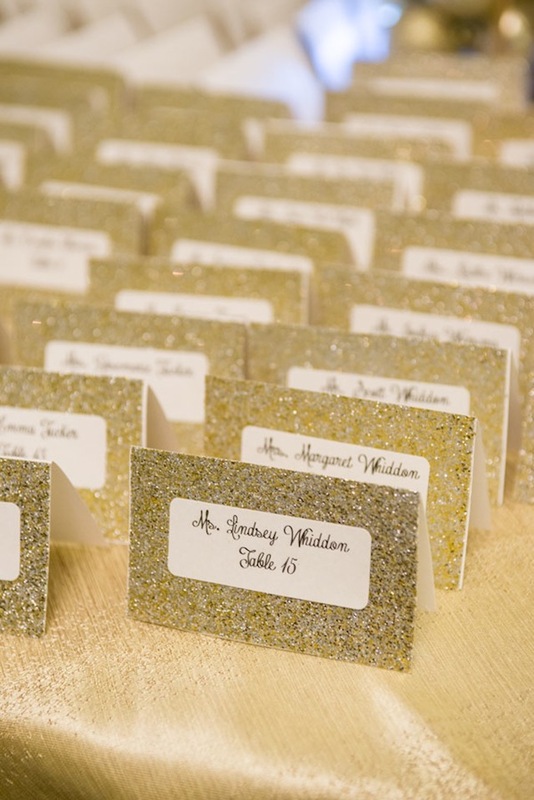 Whether you’re looking for a NYE inspired wedding or just some fun ideas, you can’t go wrong with some gold sequins. 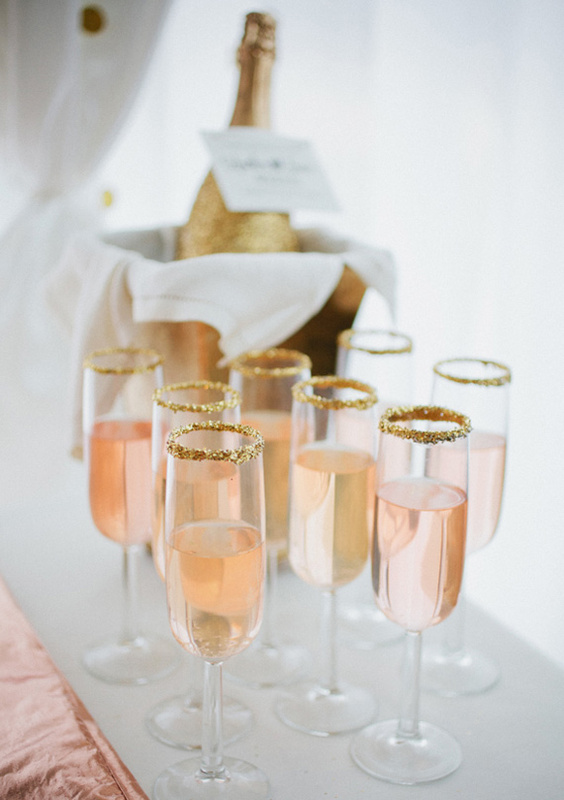 If these ideas are just the beginning, check our Pinterest board for more NYE inspiration! Fall is for pumpkin pie and apple cider. Cocktail hour is no different. These festively themed drinks are all about the fall flavors. 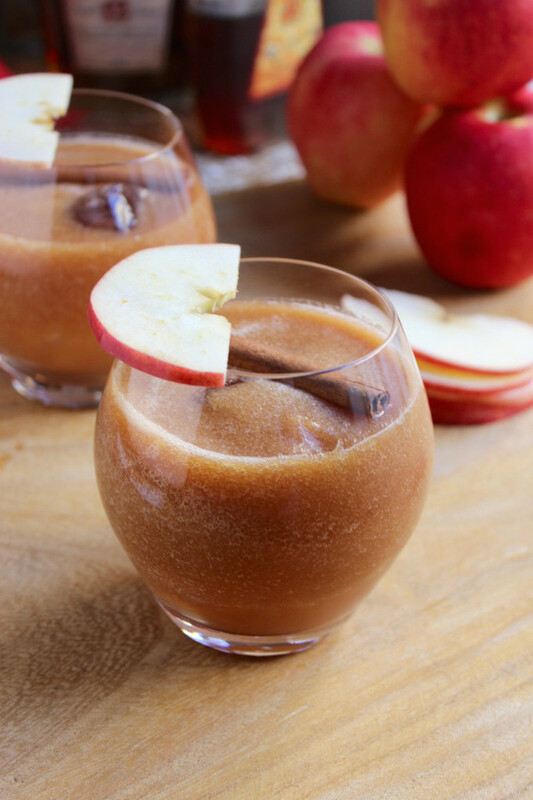 A drink with spiced cider you say? Consider it served. For more cocktail hour favorites, check out our Cocktail Hour board on Pinterest! Everyone looks better in candlelight. It’s flattering at every angle, it makes everything sparkle, and it’s easy! 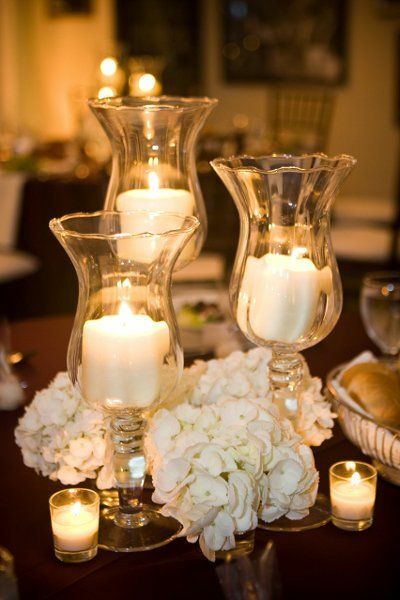 Many brides use votives to enhance their table decor. Putting the sparkly power to work in other places only spreads the warmth. Candles are an elegant choice where ever they are from the ceremony to the reception. Don’t believe us? Take a look, we think these pictures might change your mind. Pearls are created from a tiny grain of sand that is carefully tended until it turns into a beautiful shining pearl. Seems like there’s a metaphor for love there… Anyway pearls are a classic choice for brides to wear, might as well make it the classy choice for decor! Gold is the color of royalty. It shimmers, it shines, it says “look at me”! For the bling loving bride, gold is the color of choice. 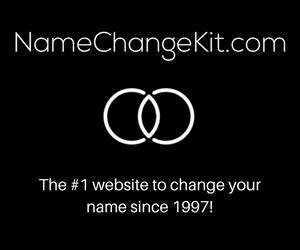 It creates an instant party atmosphere perfect for the big day. 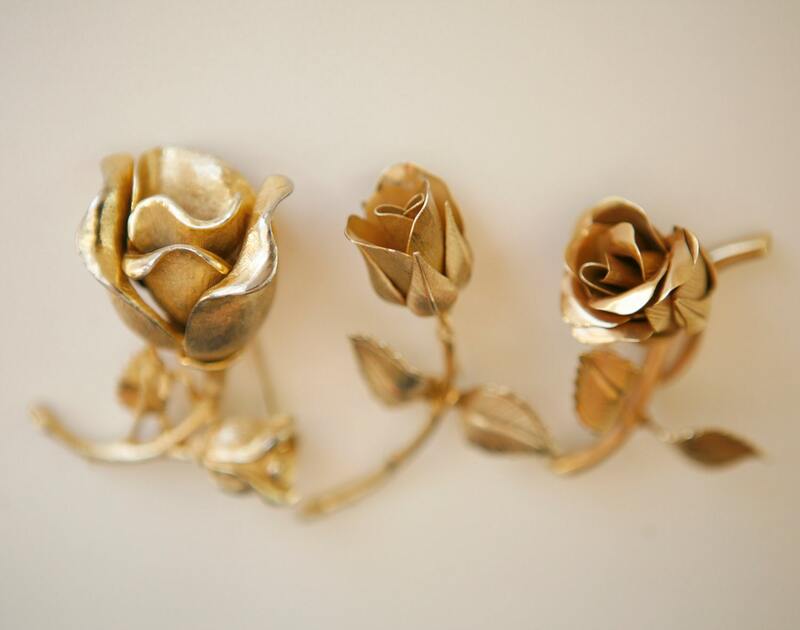 Gold can be incorporated into every aspect of the tablecloths and silverware to head pieces, bridesmaid dresses, even what the flower girls drop. Get creative and make it sparkle. Built in 1799, Fort Adams is a historic venue right on the water in Newport. Creating its own little peninsula, the fort has sweeping water views on three sides. Visitors see the Newport Bridge, the harbor, and perfect golden sunsets. It’s picture perfect. 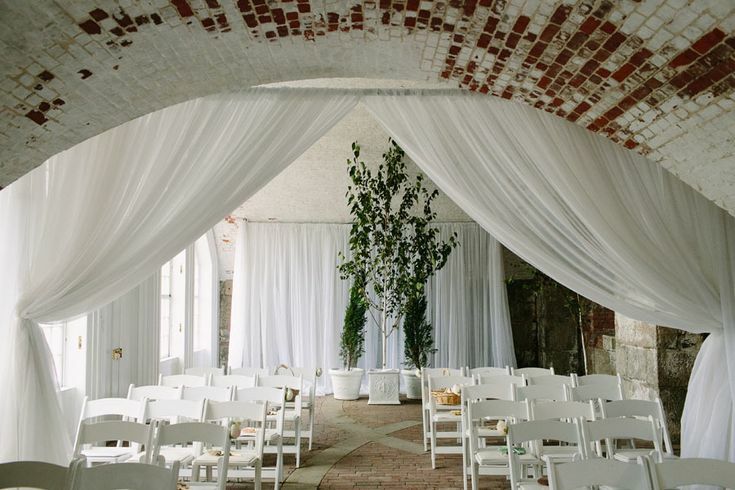 Boasting venue spaces that hold anywhere from 30-350, Fort Adams can accommodate a wedding of any size. The rich texture of the bricks makes for a beautiful backdrop. Weddings can be hosted inside or out, in a tent on the grounds outside the forts walls, or inside the fort’s facilities. The North Lawn is just outside the walls of the fort. Holding anywhere up to 600 people, this space holds the most people and has gorgeous views of the Narragansett Bay and Newport Harbor. Similarly, the Parade Field inside the forts walls holds 600 people, but the views are of the forts beautiful architecture. The North Casemates is a unique indoor space composed of three white-wahsed brick rooms. The vaulted ceilings make the space feel elegant and roomy for 200. The West Lawn, overlooking Jamestown and the Narragansett Bay, this space has beautiful sunset views for 23-125 people. The Barracks Dining Room is a renovated space within the forts inner buildings that looks out over the parade field. The brick walls and polished hardwood floors have a homey feel. The room comes with beautiful hardwood banquet tables and benches for up to 40 people. The Harbor Lights Lawn overlooks the city of Newport, Brenton Cove and Newport Harbor. With the city just across the harbor, views of twinkling lights and chic yachts will amuse around 125 guests. Whatever space you choose, guests will love the rich architecture, beautiful views, and the deeper sense of history.